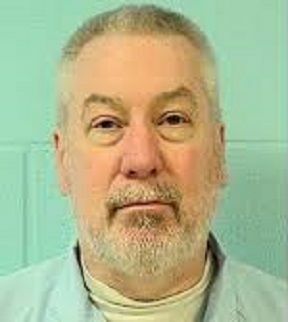 Jury selection is set to begin for Drew Peterson and his murder for hire case where Peterson, the former Bollingbrook police officer and now convicted felon, is accused of plotting to kill the prosecutor who put him behind bars in his third wife’s death. Peterson pleaded not guilty to charges that he enlisted another inmate between September 2013 and December 2014 to help plan the death of Will County State’s Attorney James Glasgow. The prosecutor was responsible for putting Peterson behind bars in the death of his third wife, Kathleen Savio. 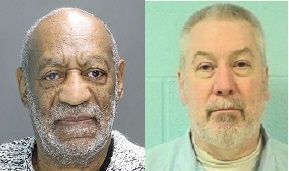 The 62 year old Peterson is currently serving a 38-year-sentence at the maximum security Menard Correctional Center. Peterson also remains a suspect in the disappearance his fourth wife, Stacy Peterson. Jury selection is set to begin in the murder-for-hire trial of Drew Peterson, the former suburban Chicago police officer accused of plotting to kill the prosecutor who put him behind bars in his third wife’s death. The process will start Friday in Randolph County in southern Illinois, where Peterson, 62, is serving a 38-year-sentence at the maximum security Menard Correctional Center. Opening arguments are scheduled to start Monday, with the trial anticipated to last at least one week. The Illinois Attorney General’s Office and the Randolph County state’s attorney are prosecuting the case against Peterson, who faces a sentence of up to 60 years if convicted of solicitation of murder for hire along with solicitation of murder. Peterson has pleaded not guilty to charges that he enlisted another inmate between September 2013 and December 2014 to help plan the death of Will County State’s Attorney James Glasgow, who is among the state’s likely witnesses. Glasgow has previously declined to discuss the alleged threats.